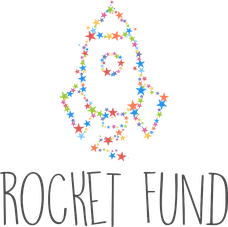 Rocket Fund is a crowdfunding platform for schools, designed to enable more students to access the latest technology, while giving teachers the opportunity to find out what works in the classroom. We do this by modernising school fundraising and gathering user reviews. Most of us use technology on a daily basis without thinking about it. In fact, 90 per cent of jobs now require digital skills to some degree, according to the Government's 2017 Industrial Strategy. Unfortunately, in some schools, very little has changed in the last 10 years. According to the British Educational Suppliers Association (BESA), 25 per cent of computers in schools are likely to be marked as ineffective, and are often over five-years-old. The potential of technology in education is huge; it can be used to enhance learning, save time, track progress and improve students' experience. However, due to tight budgets, many schools are unable to experiment with technology, meaning much of what is available hasn’t been tested on a large scale. This means that the digital revolution, that has affected many other areas of society, is yet to reach schools. As a result, many students aren’t being prepared for the world they’re growing into. Currently, according to research by Barclays, 43 per cent of the UK population lack the digital skills required by most jobs. Rocket Fund aims to enhance learning for all. We are modernising school fundraising to enable teachers to try the latest technology and gathering user reviews to help them decide what to try next. Rocket Fund enables anyone to donate, from anywhere in the world. We’ve already had several individual donations of £1,000 and the record amount raised so far by one project is £8,000. We also aim to gather match-funding from businesses to support schools, making it even easier for them to hit their targets. Once the school has purchased the products they fundraised for, and has had the chance to use them, we ask for a user review. We will soon be publishing these to make it easier for teachers to discover new technologies and share their ideas/experiences. Since January 2017 we have supported 200 schools across the UK (see the map), 65 per cent of them hit their target, raising over £185,000 to buy a range of tech products. This has benefited over 30,000 students. See all current and previous projects. We will be scaling the concept in the UK before launching it around the world. If you would like to support a school via Rocket Fund and help close the digital skills gap, then please get touch with Ben Gill. Cleo was part of the Education team at Nesta and worked on Rocket Fund, a crowdfunding platform for schools to give children access to EdTech.